Joey Asher is the president of Speechworks, a communication and selling skills coaching firm. 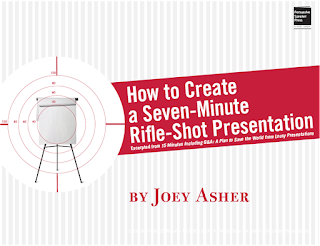 He has come up with a new book '15 Minutes including Q & A' where he talks about how business presentations can become shorter. 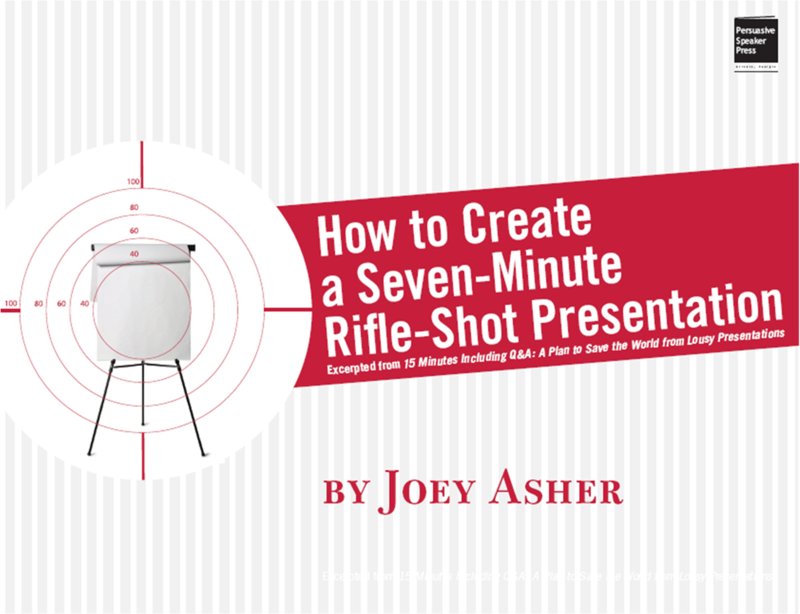 He makes a point that most business presentations are long and winding and what the world needs is a rifle-shot presentation. 2. How you plan to address the problem? 3. Talk about the key messages. (The Body). 4. Recap the key messages at the end. 5. Call to action. What should the audience do next? Click here to download the e-book (1.25 MB). It is a small e-book of 38 pages which is a quick read. Have a look.